Contact Paul J. Higgins, Ph.D.
Dr. Paul Higgins is an honorable Editor-in-chief of the journal, Cell Biology: Research & Therapy. He is the professor and Director at Center for Cell Biology & Cancer Research, Albany Medical College, USA. 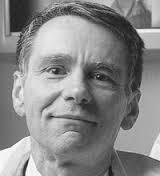 Dr. Higgins did his PhD from New York University and Post Doctorate from Memorial Sloan-Kettering Cancer Center, New York, USA. Dr. Higgins research focus on the molecular mechanisms underlying transcriptional regulation of the critical inflammation and fibrosis-promoting factor PAI-1 (plasminogen activator inhibitor-1; SERPINE1). PAI-1 is a major effector of human fibrotic disease where it promotes the development of, and maintains, the inflammatory and angiogenic responses. His current efforts focus on creation of molecular genetics "reagents", including PAI-1 oligonucleotide decoys, antisense constructs, silencing RNAs and micro-RNAs that target PAI-1 gene expression in the fibrotic stroma as well as in angiogenic endothelial cells.